About That Blue Wave . . . 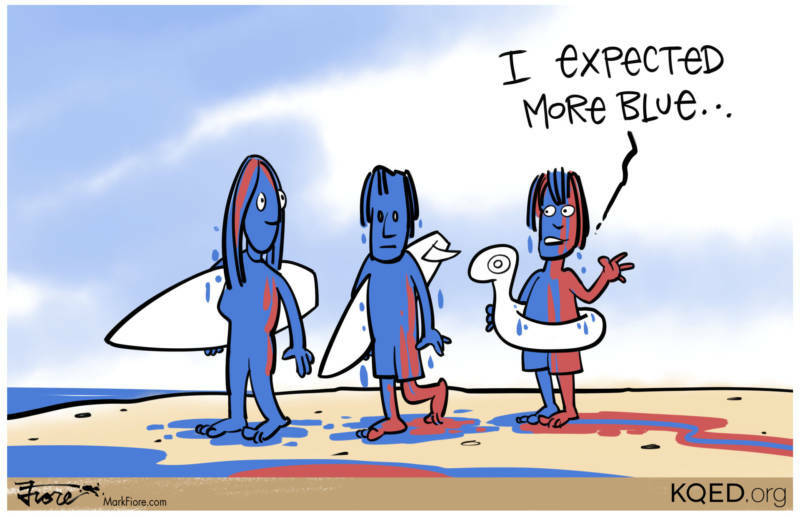 Even though they captured the U.S. House of Representatives, the "blue wave" wasn't quite as big as some Democrats had hoped. Republicans expanded their majority in the Senate, and won a handful of key high-profile races. House Minority Leader Nancy Pelosi, likely to become the speaker of the House, spoke of bipartisanship and a desire to "seek common ground where we can." Meanwhile, a handful of races in the "likely-to-flip" category were still too close to call on Wednesday afternoon, but could add to that "blue wave."